Send us a photo or description of artwork and we will work hard to make sure the product you receive fits your needs perfectly. Custom USB Depot, a company that offers a huge selection of top quality USB drives, is pleased to announce that they have just launched some new services that make custom ordering USB drives easier than ever. As a spokesperson for the company noted, the founders of Custom USB Depot are committed to helping Americans find the best deals and service possible on their USB purchases. Custom USB Depot is a top respected supplier of promotional thumb drives in the United States, and they are proud to now provide 6-day rush service on most models, and a 48-hour super-rush service on selected items. From mom and pop shops to large American corporations who need a large number of customized USBs for a special promotion, the friendly and experienced team from Custom USB Depot is ready and willing to help. 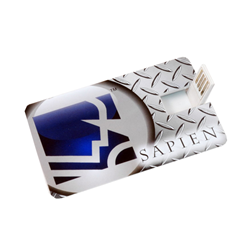 No job is too big or too small, and thanks to the company’s competitive pricing, price-beat guarantee and generous five year warranty on all USB drives, customers can rest assured they are getting top quality products at exceptional prices. “Who says a USB drive has to look like a USB drive? We offer fun customization options for your drives,” noted the company spokesperson, adding that at Custom USB Depot, they are more than happy to work with their customers to create a USB drive that best reflects their business and their values. Anybody who would like to learn more about Custom USB Depot is welcome to visit the user-friendly website; there, they can browse through a vast selection of products.